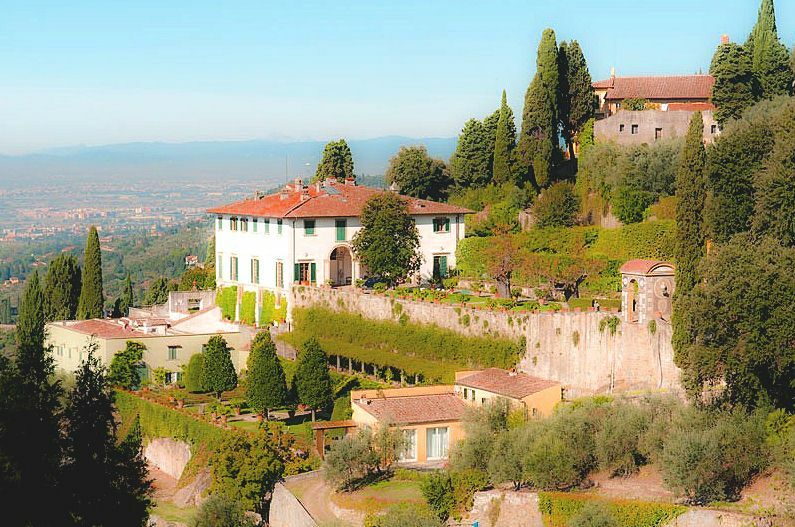 From time to time, I post about sights outside of the Chianti region but within easy reach for visitors who are making Chianti their Tuscany base. One of the most famous and beautiful regions of Tuscany is what my friend Anna Maria Baldini calls “big sky country” – the Val d’Orcia. 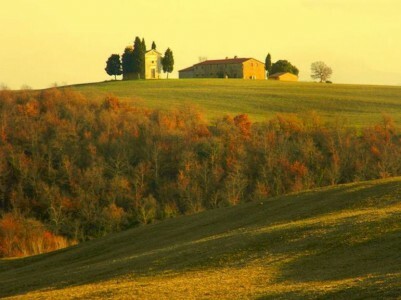 In contrast to the Chianti hill country, the Val d’Orcia, which is located south of Siena, is characterised by rolling hills and wide open vistas, many of them so photogenic as to be among the iconic sights of Tuscany. The Val d’Orcia is not purely landscape, but also some beautiful towns embedded in this landscape, foremost among them, in my opinion, Pienza, the miniature Renaissance town created by Pope Pius II, himself a “Renaissance Man”. 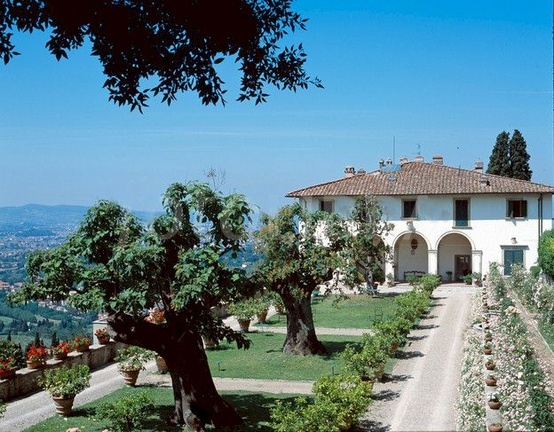 Other must-see towns are San Quirico d’Orcia and Montalcino. There are hot springs at Bagno Vignoni and one of the most evocative churches in Tuscany is Sant’Antimo, where Gregorian chant forms part of Mass every day. And of course the entire Val d’Orcia is dominated by the unmistakable form of Monte Amiata, the volcanic peak to the south. 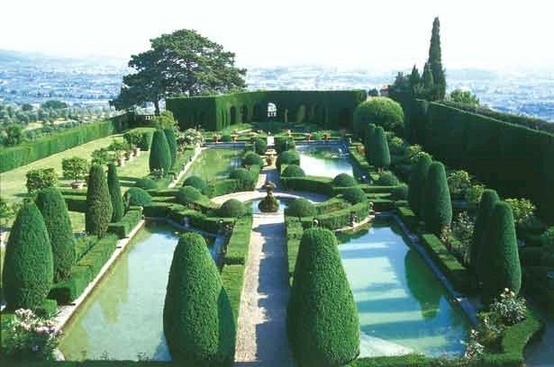 Wonderful views of Monte Amiata can be enjoyed from the Piccolomini Gardens in Pienza and from the classic garden of Villa La Foce, the home of the late Iris Origo. 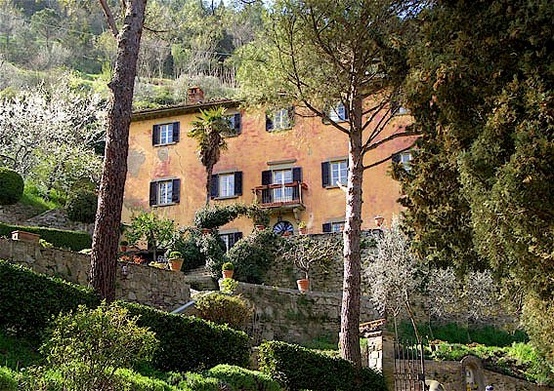 More Tourist information on the Valdorcia of Tuscany, Italy. 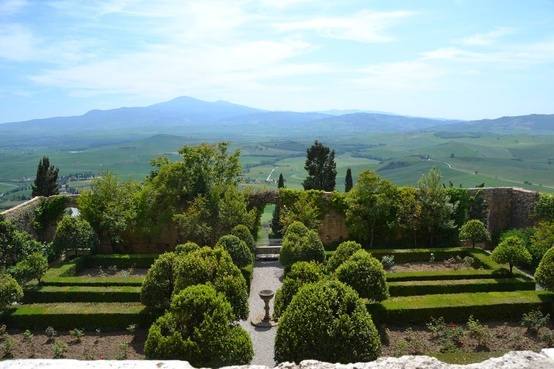 A photographic and wine tasting tour of the Val d’Orcia.